The impending execution of a man in Washington State faces us with the question of whether the death penalty serves the state and its citizens well and whether it fulfills the reasons for which it was initially passed. Since my resignation from the Washington State Supreme Court in 1995 to protest the death penalty, many things have changed. Public support for the death penalty has fallen dramatically over the past 14 years. Since 1995, death sentences in America have declined more than 60 percent, reversing a generation-long trend toward greater acceptance of capital punishment. Friday's planned execution of Cal Coburn Brown for the 1991 torture and slaying of Holly Washa, 22, would be the first Washington state execution since 2001. The Supreme Court this week declined to stay the execution. Most Americans continue to support the death penalty for the truly guilty. However, the discovery of innocence in more than 130 cases where people have been sentenced to death, exonerated and released is one more reason to question the need for retention of the death penalty. DNA testing is a partial answer, but even that is available in less than 10 percent of all homicides and is no guarantee we will not execute innocent people. As for punishment and protection, life in prison without the possibility of parole is available in 48 states, including Washington, and prevents criminals from reoffending. It means what it says — 23 of 24 hours a day locked in a tiny cell is not coddling. Traditional objections — such as cost, delay and questionable deterrence given uncertainty and randomness of application — still exist. As does rejection of the death penalty by most civilized societies, including the more than 50 members of the Council of Europe. My original reasons for resignation still apply. I then stated: "I believe society has a right to protect itself by imposing life sentences without the possibility of parole. However, it became obvious that there were certain inherent contradictions that made unfairness and discrimination not merely uncontrollable accessories of the punishment of death, but its very essence." One of the reasons for my resignation was the failure of the court to conduct meaningful proportionality reviews as required by Washington law. In 2006, the court came within one vote of finding the death penalty had been applied in an arbitrary and irrational manner. The dissent noted: "The death penalty is like lightening, randomly striking some defendants and not others." The death penalty was not imposed on Green River killer Gary Ridgway or on Benjamin Ng and Kwan Fai "Willie" Mak, who gunned down 14 people in the 1983 Wah Mee Massacre in Seattle. Where the death penalty is not imposed on those who committed the worst mass murders in Washington's history, on what basis do we determine on whom it is imposed? In addition, many states are now examining the question of cost and have pointed out that capital cases cost three times as much as homicide cases in which the death penalty is not sought. They have done this reasoning that there are better and cheaper ways to reduce crime. Lawmakers in Maryland, Colorado, Kansas, Nebraska, Montana and New Mexico are currently examining the merits of this argument. Gov. Bill Richardson of New Mexico, a longtime supporter of the death penalty with growing concerns about miscarriages of justice and the current era of austerity and tight budgets, is saying he may sign a bill repealing capital punishment. Retaining the death penalty fails to serve either justice, public safety or the public purse. 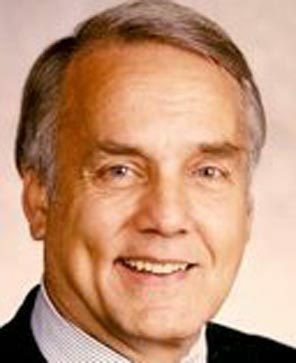 Robert F. Utter served on the Washington state Supreme Court from 1971 until his 1995 resignation protesting the death penalty. (R. Utter, “Washington state must abandon the death penalty,” The Seattle Times, March 11, 2009). Note: The execution of Cal Brown in Washington was stayed pending a review of the state's lethal injection process. See Arbitrariness and New Voices.